Sometimes the hustle of dealing with a car lockout problem is unbearable. It will force you to cancel important plans including going to work. If you are a business owner, you will count huge losses when you lose your car keys because it means your operations will come to a standstill. To avoid these experiences, you should look for ways to get out of the lockout situation immediately. This is important because it is not easy to predict when your car keys will get lost. It is an accident just like any other. Fortunately, there are many ways to deal with a car lockout problem. For instance, you can simply have a qualified car locksmith who will help to pick the lock safely and quickly. In the past, people in Adelaide were forced to force themselves into their vehicles during a lockout problem since they couldn’t trace a professional car locksmith. In fact, there were very few companies that offered locksmith services. The problem with breaking the car window is that it will have a serious financial impact on you. Given the increasing cost of car windows today, it is not wise to damage your car window in an attempt to recover your car keys. You should consider engage a professional locksmith who understands how different cars should be unlocked. Thankfully, these locksmiths are everywhere in Adelaide today. So you shouldn’t experience any difficulties trying to find a locksmith for your vehicle in the city. The most important thing is to ensure that you hire the right person for your vehicle. This is important because there are so many amateurs out there who posse like real specialists. It is hard to know they are amateurs until you hire them. Since they do not have the needed expertise and experience to handle car lockout problems, they will always do shoddy work. This puts your car at a great risk of enduring serious damages. Because you are hiring professional locksmith services to avoid damages you should stay away from amateurs. 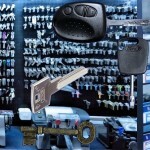 The best way to achieve this is to hire your locksmith services from a reputable locksmith company. This will give you peace of mind knowing that your car is in safe hands. This is what you will get when you hire your car locksmith services from http://www.portlocksmiths.com.au/. This is a reputable locksmith firm that offers reliable mobile car locksmith services to car owners in Adelaide. Full range of Key Blanks including novelty keys, keychains, keyrings, beltclips, tags, replacement remote keyfobs for automotive lock systems.